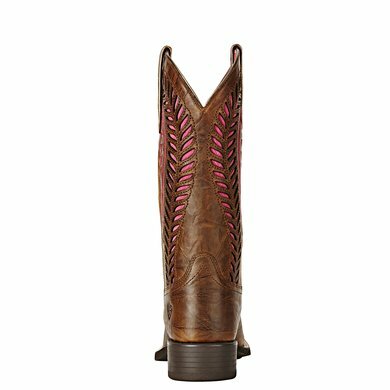 These high-quality boots are a must-have for all Western fans. 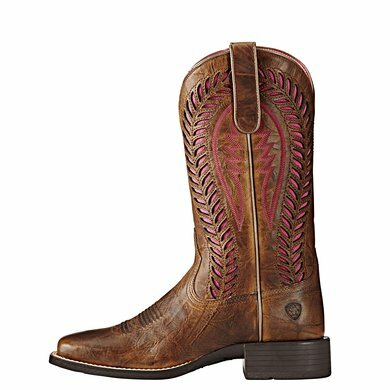 They are made of full grain Premium leather with mesh, equipped with the proven ™ ATS® sole technology and Duratread outsole. A special highlight is the VentTEK ™ technology which ensures that the boots are waterproof yet breathable. The Dri-Freeze® lining also ensures that the temperature is controlled. 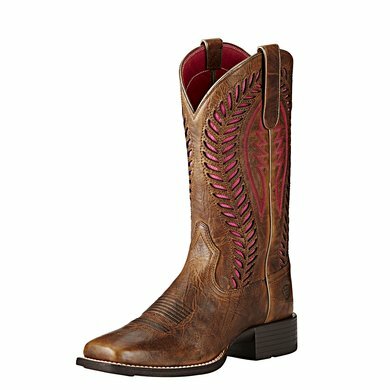 The striking pattern of four rows and the wide square nose make the boots a fashionable highlight. 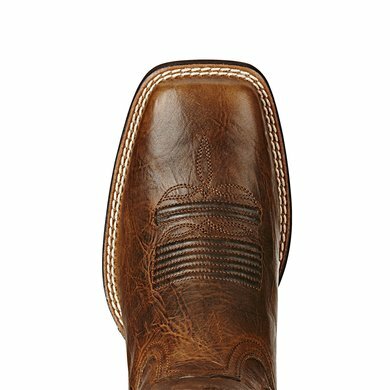 Stability and comfort of Ariats® innovative medium technology: Ariat® exclusive Advanced Torque Stability (ATS ®) technology supports and protects the foot during its movements, promotes good posture and reduces fatigue, allowing you to practice sports and games throughout the day could be. 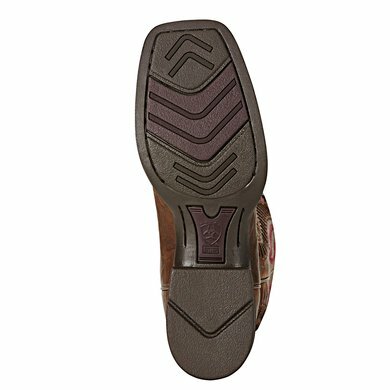 The moisture-wicking footbed offers cooling, drought and comfort. - The gel footbed with heel supports stabilization and stabilizes. - The ergonomic split composite hinge spring improves stability.